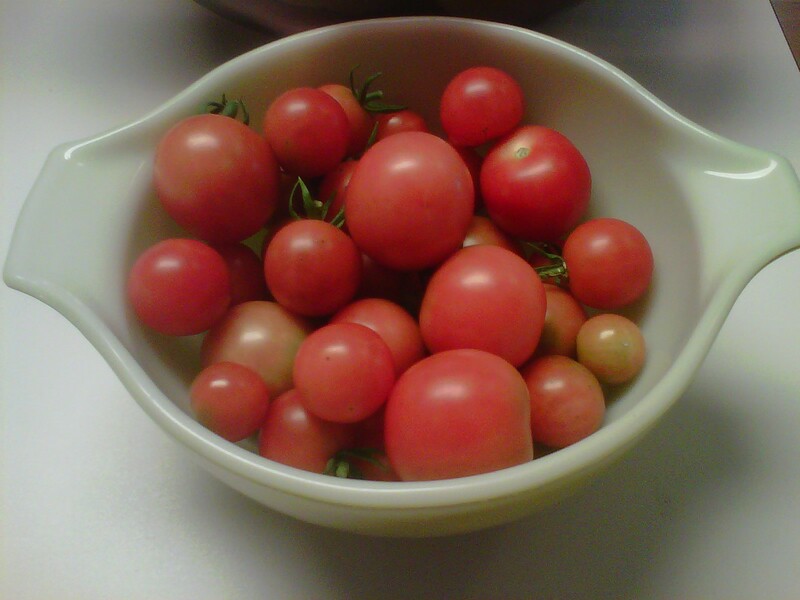 Here is today's tomato haul. I paid the kids to go out and pick them. I don't think they got them all either, so I will have to motivate myself to crawl around and get the ones tangled up in the bushes. Its quite a jungle back there. With all this vitamin c I won't need any Wholesale Insurance.